South Korean economist Ha-Joon Chang used his 2003 work Kicking Away The Ladder to challenge the central orthodoxies of development economics, using his creative thinking skills to shine new light on an old topic. 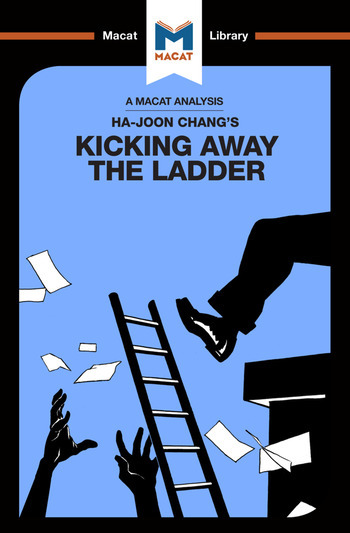 By insisting that Third World nations should adopt these economic policies themselves, argued Chang, the West is actually stifling Third World economic prospects – kicking away the ladder. His carefully reasoned argument for a novel point of view was closely based on the critical thinking skill of producing novel explanations for existing evidence, and led many to question development orthodoxies – sparking a rethink of modern development strategies for less-developed countries. Sulaiman Hakemy holds an MSc in economic history and development from the London School of Economics. A writer and journalist, he has reported on industry, politics, and culture for various publications. His background is in the development aid and urban planning sectors, specialising in conflict and fragile states. He is based in Istanbul and Toronto, and speaks English, French, Spanish, Arabic, Persian, and some Urdu.